Spend some time thinking about the kind of remodeling company that you want to work with, from beginning to end - from designing your project through completing the last few odds and ends. What characteristics define the cream of the crop? Of course, you want to find a team who will build a top notch project for you in a timely manner, within your budget and with minimal headaches. But what else should you consider when evaluating remodelers? Seek out someone who is excited to be in the business, with a proven track record of providing stress-free, well orchestrated, home remodels. This will help to ensure that renovating your home will be an enjoyable journey and result in an awesome finished project. The remodeler is the person to whom you will delegate the responsibility of ensuring that the experience matches your expectations. You need a good manager. There is no business where teamwork is more important. They have to be able to pull together people and resources to get the project done for you in a timely fashion and to your satisfaction. You want someone who will do everything possible to provide the least amount of disruption in your life. With a great remodeling company, each day of a remodeling project should be a day where your expectations are met. Each day your home should be one day closer to your dream and vision. Look for a remodeler with traditional skills of empathy and careful listening, one who will keep you informed; a good communicator. One of the differences between a good and bad contractor is how they address the problems as they arise. On remodeling projects, things often go wrong, problems come up. You want someone who can resolve issues promptly, fairly and responsibly while keeping you in the loop. Choose someone who is courteous, steady and even-tempered. Select a company who will be around tomorrow to service their work, and who likes to promptly take care of these kinds of fidgets. Of course, you want someone who has done a lot of beautiful projects. A quick way to do so is to look their portfolio on their website. 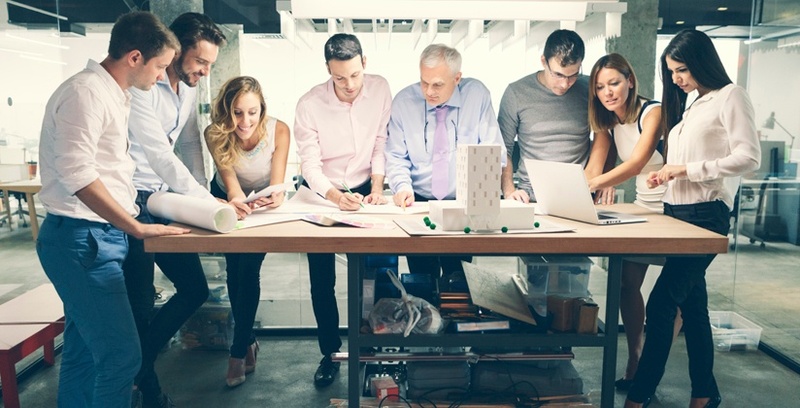 A great design team has both talent, and strong communication skills. You want someone who will understand your design objectives, and be able to work within your budget. Most of all, choose someone that you feel comfortable with. Talk to past clients to get a sense of comfort about the kind of experience you will have. If you're interested in digging deeper, we have put together a guide for choosing a contractor. It includes a 4 step selection process, questions to ask at each step along the way, and more in depth guidance on what matters when choosing who to invite into your life, and your home to work with you and your family.